The Pine Butte Guest Ranch provides a ranch holiday in a magnificent setting with Montana’s Rocky Mountains rising out of the vast prairie. Its mission is to promote conservation through education and personal experience, and as it is owned by the Nature Conservancy, it can help travelers make a special connection to nature. The prairie is a haven for wildflowers and wildlife and the ranch has its own naturalists who go on hikes or rides with guests. The ranch also offers natural history workshops ranging from bird watching to field courses on the habits of the grizzly bear – taking guests through scenery where grizzly bears still roam free. The commitment to protecting the planet has led the ranch to use practices easy on the environment, making it a sustainable operation by leaving the smallest footprint possible. Sustainable materials and products have been used and targets for increased efficiency have been met in the use of resources. Wind and solar generators are in place and a Sustainability Plan outlining goals for further conservation was formalized five years ago. Implementation has been guided by a carbon footprint assessment and the analysis of greenhouse gas emissions. A fund to support infrastructure investments has also been created. Well worth a visit and an example to us all! The Kyoto Protocol: what will the future bring? Natural disasters are creating havoc across the world, whether they are typhoons in the Philippines or in the USA, or earthquakes and tsunamis in Japan. And at this point, environmental issues again appear, taken up by public or private bodies and even among ordinary people undergoing the trials and tribulations caused by these untoward occurrences. For some time, environmental issues have been discussed across the world, either in open debate in various societies, or by non-governmental organisations working in environmental protection, yet there has been no clear definition of the state’s role in these matters. And this at a time when globalisation has really become a global issue, raising the point that global governance is required to oversee public policies, to bring a convergence between countries and to include environmental issues as one of the concerns. It was against this backdrop that the Kyoto Protocol was signed in Japan, under the auspices of the United Nations. This was to serve as a document regulating the environmental policies and practices that are to be put in place by each signatory country. The limits of greenhouse gas emissions produced by advanced economies were defined, along with the targets for reducing these gases up to 2012. The agreement only came into force in 2005, at which point there were 175 signatory countries. These together totalled 55% of the countries producing greenhouse gases in the 1990s, the figure needed to bring the protocol into force. These countries committed themselves to enact legislation covering the application of these environmental standards, though there are in truth some countries that have gone about the task more seriously than others. Between November and December 2012, the UN Climate Change Conference was held in Doha-Qatar. The debate related to setting new targets for greenhouse gas reductions, thus ensuring a cut in humanity’s carbon footprint and its effect on nature. With the Kyoto Protocol reaching the point where it ceases to be valid at the end of 2012, a number of issues were raised at this conference, among them the continuity of the agreement. For some, the document should continue to be in force, with an addendum increasing the gas reduction targets for each country up to 2020; for others, the protocol should be abandoned and a new document produced to replace it. The conference ended on 7 December, following lengthy negotiations involving the 200 or so countries that took part. It was decided that the Kyoto Protocol would stay in force until 2020, though some countries have not ratified the agreement yet; and once again less advanced countries did not come under the heading of countries emitting greenhouse gases and users of fossil fuels such as coal. With the economic and financial crisis showing no sign of abating, there was no guarantee possible for financing the Green Climate Fund. This was supposed to ensure 100 million dollars per year in financing as and from 2020, for adaptation to and mitigation of climate change in developing countries. A mechanism was also created to cover loss and damage, setting down that more advanced countries would perforce provide financial compensation to poorer countries for loss and damage caused by climate change. “Adressing climate change is essential to sustainable development. 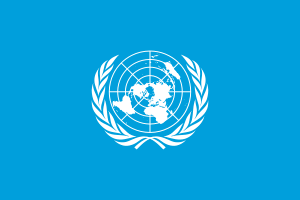 Let us prove to the future genetations that we had the vision to see where we needed to go, and the wisdom to get there.” This was the sentiment of Ban-ki-Moon, Secretary General of the UN, in one of his speeches at the conference. This was a way to raise the awareness of countries for a commitment to environmental concerns, but also to illustrate the social responsibility of states and governments, as overseers of environmental practices and the bodies ensuring legislation on public policies to be pursued. It is some time now since environmental concerns left the laboratories and came outside university walls around the globe. These concerns are now no longer only for Science. They concern us all. They are a form of citizenship. They have become an engagement, and it is with this tool that we must teach the coming generations, showing them the planet that we wish to leave them as a heritage. At the end of last year, Samsung brought joy to children in South Africa living in rural communities. How? By providing free internet in a portable classroom, powered by the African sun, equipped with galaxies and other state of the art gadgets, within a container which can serve villages where there is no electricity. The Internet Schools Programme is part of Samsung’s Hope for Children, one of the pilot projects from the company’s global social contributions activities implemented not only in South Africa but also in Kenya, Nigeria, Senegal and Sudan. The equipment within the 12-metre long classroom ranges from interactive whiteboards (e-board) to multi-purpose printer, and from internet enabled solar powered notebooks and tablets to WI-FI-enabled cameras. Students and staff have welcomed the initiative, which has won this year’s African Solar Project of the Year by the Africa Energy Awards, and with these units mushrooming across the continent, the company aims to reach 2.5 million learners in the years up to 2015.